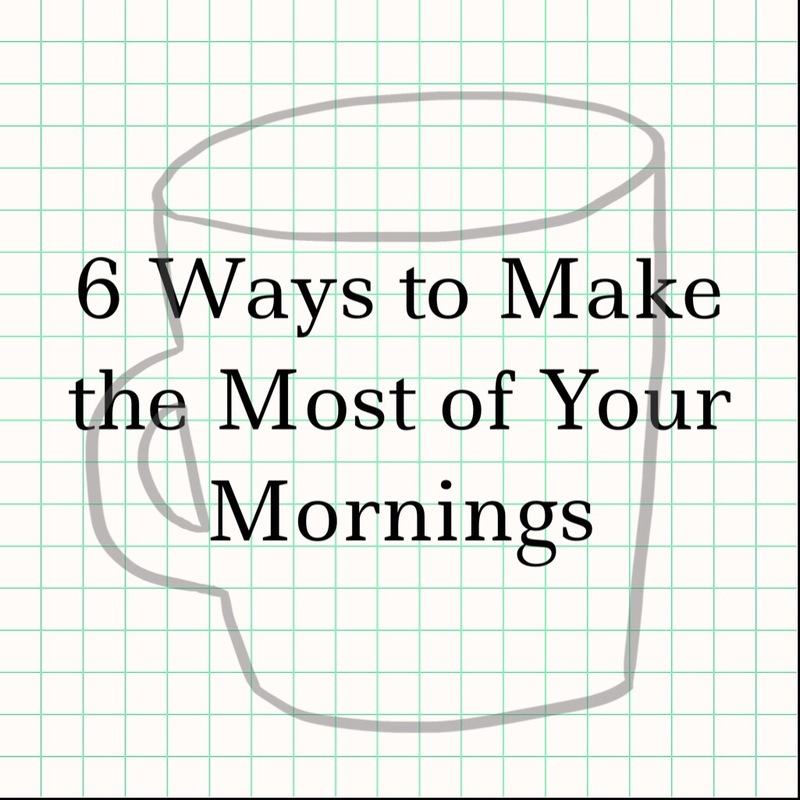 I have written about my morning ritual before, but it changes over time, so I thought I’d share my tried and true ways to start the day right. Please keep in mind that I’m not the most graceful when it comes to waking up in the morning. My husband laughs at me often with my zombie like stumble to the turn my alarm off –that’s right, it’s not right next to my bed– and my mumbled speech. I’m not chipper in the morning either, and more often than not, I’m upset that I have to emerge from my cozy, warm cocoon. Just ask my mom! She used to have to tear the covers off me and then spray me with a water bottle. And let me say, she is the sweetest, loveliest woman, but I brought this out in her. She would first attempt a sweet, melodic “goooooood morning, it’s a beautiful day. How’s my precious angel today?” And then…well…the spray bottle. I share this because I want to stress that the struggle is real. I consider myself lucky to have a job and a place that I need to be everyday, but in the fog of a good night’s rest, it’s tough to overlook that. FACT: Because I’m not a Disney princess when I wake, my morning ritual is my holy grail. 1. Movement // My alarm is across the room from my bed, so I actually have to get up out of bed to turn it off. This is huge. It hasn’t prevented me from crawling back into bed, but it does make a difference. The first thing I do once I’m up is grab my robe and make the bed. Making the bed gets me moving, takes away the possibility of climbing back into that heavenly cloud, and allows me to accomplish something first thing. Win, win, win. Next, I make my way to the kitchen to prepare my morning bevies. While I’m heating water for my tea and lemon water, I do some stretching. I cannot stress enough how good it feels to stretch your body first thing in the morning. If I have time, I aim for 30 minutes of yoga or some sort of workout. 2. Beverages // Some people like cereal, some like yogurt, and some like to keep it simple with coffee and toast. Not me. I like to start the day with a green smoothie, warm lemon water and tea. I mix up my green smoothie recipes all the time, but an old stand by is 1 cup coconut water, 4 frozen strawberries, 2 frozen pineapple chunks, 1/4 sliced cucumber, and a big handful of spinach. While I prep my smoothie, I have a pot of water warming on the stove for lemon water and tea. Warm lemon water has great cleansing and detoxifying benefits for your body. I started drinking warm lemon water every morning after reading about it at How You Glow. I mix up my selection all the time, so with fall here, I have been enjoying Chai tea with a splash of half and half. 3. Reading // This is probably my favorite part of the morning. I take my cup of tea back into the bedroom, prop myself up against a couple pillows, call my dogs up on the bed and read for 10-15 minutes. There is something so luxurious about sipping tea and reading on a weekday morning. I absolutely love this ritual and do everything I can to do this every morning. I choose to read books that are fairly easy to put down after a few pages and that provide some sort of inspiration. To date, my favorite has been The Happiness project by Gretchen Rubin. 4. Music // It doesn’t have to be your favorite song, you don’t need to know the words, and you don’t have to blare it. I normally grab my iPad and turn on Songza before I jump in the shower, and I’m able to listen to a good 40 minutes of music while I get ready in the morning. I listen to anything from Motown to 60s rock to 90s hip hop, and I’ve never regretted listening to music in the morning. Sometimes music influences what I choose to wear, a hairstyle or my mood. The power of music is real, give it a shot. 5. Dressing // I love clothes and getting dressed is usually fun for me. When I’m rushed, I have a tendency to recycle outfits and leave the creativity out of it. That’s the worst. Making sure you have ample time, to assemble a look that makes you feel fashionable and polished, is important. I like to lay out my clothes after my shower and give myself enough time to mull it over, try it on and make tweaks if necessary. 6. Snuggling // When I get up in the morning, my husband is on his way out, so I get a goodbye kiss and then it’s just me and the pups. My dogs are my fur babies, this is true. I always make time for them in the morning. I take them outside with me to water the plants, I snuggle them while I read, and sometimes I capture adorable moments on my phone. If you have a pet, make time for them in the morning. If your life is anything like mine, you’re away from home all day long, and they love your attention, so be sure to give them some extra love in the morning. It’ll do you just as much good as them.